River Cottage is in a fantastic location for both on and off-road cycling. 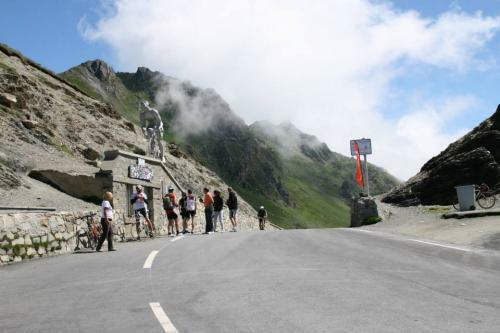 Fans of the Tour de France will be familiar with the names of many of the mountain passes as the punishing mountain stages visit the Pyrénées practically every year. If you are a cyclist you won’t be able to resist tackling some of these Cols. You can warm up by cycling down through the Lesponne valley to meet the D935 and turning right and heading towards Saint Marie de Campan. Once you have arrived at the little village of Saint Marie it is time to make your mind up which col you fancy tackling. 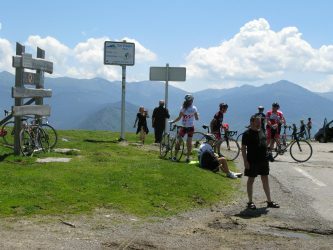 Fork right for the world famous and highest Col in the Pyrenees, the Col de Tourmalet or choose left for Col D’ Aspin or Hourquette d’Ancizan. These are just the ones easily accessed from the front door and for the more experienced cyclists the possibilities are endless for linking up passes and making routes as challenging as you dare. Mountain biking opportunities are also awesome. Maps and guides can be purchased from the tourist information office or you can borrow the ones at River Cottage. Many of the marked trails are in the Valley itself and you will notice the signs on trees and signposts as you become more familiar with the area. If you really want to scare yourself and down-hilling is more your thing, a visit via the cable car early in the morning to the top of the Pic du Midi is calling you. If you want to bring your own bikes, there is a shed at the top of the garden that is secure and safe for storage or if you prefer, you can hire either road or mountain bikes locally. There are numerous bike hire companies in the area one of which is situated conveniently in Beaudéan just 15 minutes away and they offer a variety of road, VTT and downhill specific bikes…..and they even have a tandem!! 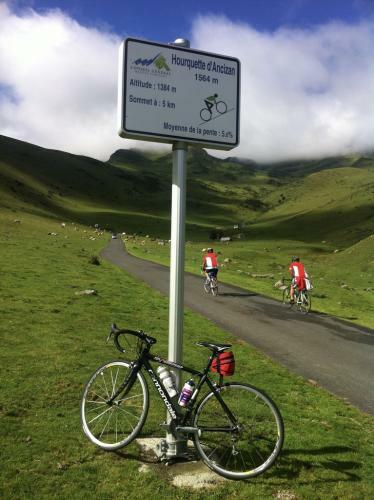 There is another excellent bike shop/hire/workshop on the way into Bagneres de Bigorre called Pyrenees Evolution Bikes situated next to Carre’Py Hotel.